Approximately 10% of breast cancer cases are attributed to a hereditary predisposition. Here, we review the risks and management options for highly penetrant genes including BRCA1/2, TP53, PTEN, CDH1, STK11, and PALB2 which confer a 5 to greater than 10-fold increased risk of breast cancer, and an increased risk of other cancers. Risk-reducing salpingo-oophorectomy (RRSO) reduces mortality in BRCA1/2 carriers. Other management strategies are tailored to the hereditary cancer syndrome in question and include more intensive screening with imaging and serologic studies, risk-reducing surgeries such as mastectomy, and consideration of risk reduction agents. Given the advances in our knowledge regarding the impact of management strategies in mutation carriers, genetic testing for high-penetrance breast cancer genes has become standard of care. It is critically important to discuss the implications of testing unaffected family members, in order to be able to offer impactful interventions to healthy at-risk individuals. Lombardi Cancer Center at MedStar Georgetown University Hospital receives research funding from Tesaro for an investigator-initiated trial Dr. Claudine Isaacs co-leads. Claudine Isaacs serves as consultant for Pfizer and Astra Zeneca. Ami Chitalia and Katia Khoury declare that they have no competing interests. Rebbeck TR, Mitra N, Wan F, Sinilnikova OM, Healey S, McGuffog L, Mazoyer S, Chenevix-Trench G, Easton DF, Antoniou AC, Nathanson KL, CIMBA Consortium., Laitman Y, Kushnir A, Paluch-Shimon S, Berger R, Zidan J, Friedman E, Ehrencrona H, Stenmark-Askmalm M, Einbeigi Z, Loman N, Harbst K, Rantala J, Melin B, Huo D, Olopade OI, Seldon J, Ganz PA, Nussbaum RL, Chan SB, Odunsi K, Gayther SA, Domchek SM, Arun BK, Lu KH, Mitchell G, Karlan BY, Walsh C, Lester J, Godwin AK, Pathak H, Ross E, Daly MB, Whittemore AS, John EM, Miron A, Terry MB, Chung WK, Goldgar DE, Buys SS, Janavicius R, Tihomirova L, Tung N, Dorfling CM, van Rensburg E, Steele L, Neuhausen SL, Ding YC, Ejlertsen B, Gerdes AM, Hansen Tv, Ramón y Cajal T, Osorio A, Benitez J, Godino J, Tejada MI, Duran M, Weitzel JN, Bobolis KA, Sand SR, Fontaine A, Savarese A, Pasini B, Peissel B, Bonanni B, Zaffaroni D, Vignolo-Lutati F, Scuvera G, Giannini G, Bernard L, Genuardi M, Radice P, Dolcetti R, Manoukian S, Pensotti V, Gismondi V, Yannoukakos D, Fostira F, Garber J, Torres D, Rashid MU, Hamann U, Peock S, Frost D, Platte R, Evans DG, Eeles R, Davidson R, Eccles D, Cole T, Cook J, Brewer C, Hodgson S, Morrison PJ, Walker L, Porteous ME, Kennedy MJ, Izatt L, Adlard J, Donaldson A, Ellis S, Sharma P, Schmutzler RK, Wappenschmidt B, Becker A, Rhiem K, Hahnen E, Engel C, Meindl A, Engert S, Ditsch N, Arnold N, Plendl HJ, Mundhenke C, Niederacher D, Fleisch M, Sutter C, Bartram CR, Dikow N, Wang-Gohrke S, Gadzicki D, Steinemann D, Kast K, Beer M, Varon-Mateeva R, Gehrig A, Weber BH, Stoppa-Lyonnet D, Sinilnikova OM, Mazoyer S, Houdayer C, Belotti M, Gauthier-Villars M, Damiola F, Boutry-Kryza N, Lasset C, Sobol H, Peyrat JP, Muller D, Fricker JP, Collonge-Rame MA, Mortemousque I, Nogues C, Rouleau E, Isaacs C, de Paepe A, Poppe B, Claes K, de Leeneer K, Piedmonte M, Rodriguez G, Wakely K, Boggess J, Blank SV, Basil J, Azodi M, Phillips KA, Caldes T, de la Hoya M, Romero A, Nevanlinna H, Aittomäki K, van der Hout A, Hogervorst FB, Verhoef S, Collée JM, Seynaeve C, Oosterwijk JC, Gille JJ, Wijnen JT, Gómez Garcia EB, Kets CM, Ausems MG, Aalfs CM, Devilee P, Mensenkamp AR, Kwong A, Olah E, Papp J, Diez O, Lazaro C, Darder E, Blanco I, Salinas M, Jakubowska A, Lubinski J, Gronwald J, Jaworska-Bieniek K, Durda K, Sukiennicki G, Huzarski T, Byrski T, Cybulski C, Toloczko-Grabarek A, Złowocka-Perłowska E, Menkiszak J, Arason A, Barkardottir RB, Simard J, Laframboise R, Montagna M, Agata S, Alducci E, Peixoto A, Teixeira MR, Spurdle AB, Lee MH, Park SK, Kim SW, Friebel TM, Couch FJ, Lindor NM, Pankratz VS, Guidugli L, Wang X, Tischkowitz M, Foretova L, Vijai J, Offit K, Robson M, Rau-Murthy R, Kauff N, Fink-Retter A, Singer CF, Rappaport C, Gschwantler-Kaulich D, Pfeiler G, Tea MK, Berger A, Greene MH, Mai PL, Imyanitov EN, Toland AE, Senter L, Bojesen A, Pedersen IS, Skytte AB, Sunde L, Thomassen M, Moeller ST, Kruse TA, Jensen UB, Caligo MA, Aretini P, Teo SH, Selkirk CG, Hulick PJ, Andrulis I Association of type and location of BRCA1 and BRCA2 mutations with risk of breast and ovarian cancer. JAMA 2015;313(13):1347–1361. doi: https://doi.org/10.1001/jama.2014.5985. Heemskerk-Gerritsen BA, Seynaeve C, van Asperen CJ, Ausems MG, Collée JM, van Doorn HC, et al. 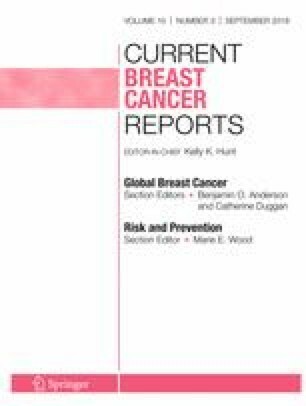 Breast cancer risk after salpingo-oophorectomy in healthy BRCA1/2 mutation carriers: revisiting the evidence for risk reduction. J Natl Cancer Inst. 2015;107(5) https://doi.org/10.1093/jnci/djv033. Chai X, Domchek S, Kauff N, Rebbeck T, Chen J. RE: breast cancer risk after salpingo-oophorectomy in healthy BRCA1/2 mutation carriers: revisiting the evidence for risk reduction. J Natl Cancer Inst. 2015;107(9) https://doi.org/10.1093/jnci/djv217. Peshkin BN, Isaacs C (2017). Overview of hereditary breast and ovarian cancer syndromes. In T. W. Post (Ed. ), UpToDate. Retrieved from http://www.uptodate.com. NCCN Clinical Practice Guidelines in Oncology (NCCN Guidelines). Colorectal Cancer Screening Version 2.2017. NCCN.org. NCCN Clinical Practice Guidelines in Oncology (NCCN Guidelines) Gastric Cancer Version 5.2017. NCCN.org.